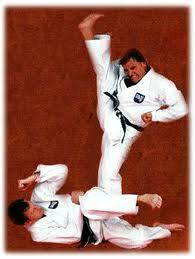 The traditional way- harder to learn, but worth the effort!!! 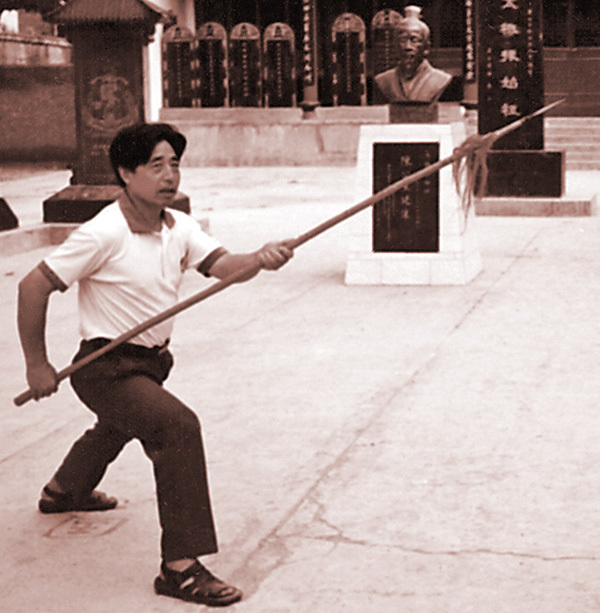 "Traditional kung fu, incorporating different styles such as Wing Chun, Shaolin and Tai Chi, though still popular, has been in decline for decades, because of a one-two to the head, first from Maoism and now from commercialism. Youths with smart phones and short attention spans have no time for breathing exercises and meditation". 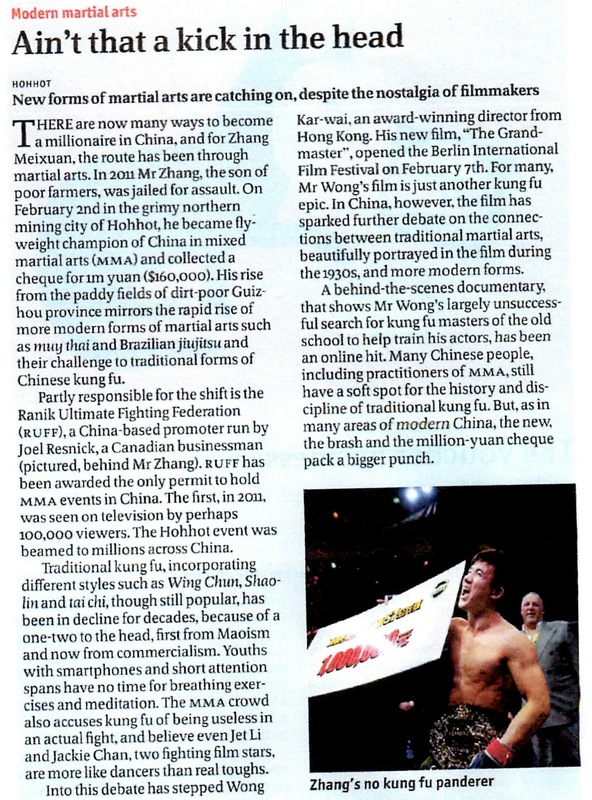 The article concluded that: "Many Chinese people still have a soft spot for the history and discipline of traditional kung fu. But, as in many areas of modern China, the new, the brash and the million-yuan cheque pack a bigger punch". I had an interesting conversation in Singapore a few weeks ago with 86 year old Chu En Sian who trained in traditional Chinese wushu at an early age. 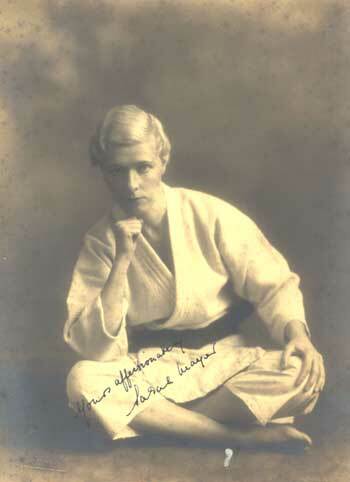 She was disappointed with the simplification of the old ways of training and was quite clear in her opinion (and I completely agree! ): "The traditional way is harder to learn, but it is worth learning. Everything in the traditional method is there for a reason and you can't get the full benefit by simplifiation and discarding pieces from it"! People often justify this simplification with reasons like - "the more people who know about it the better",, "students are not able to do the traditional way", "in today's busy world people just don't have the time", "once they start doing the simple way they will realise how good it is and then get serious", etc etc. 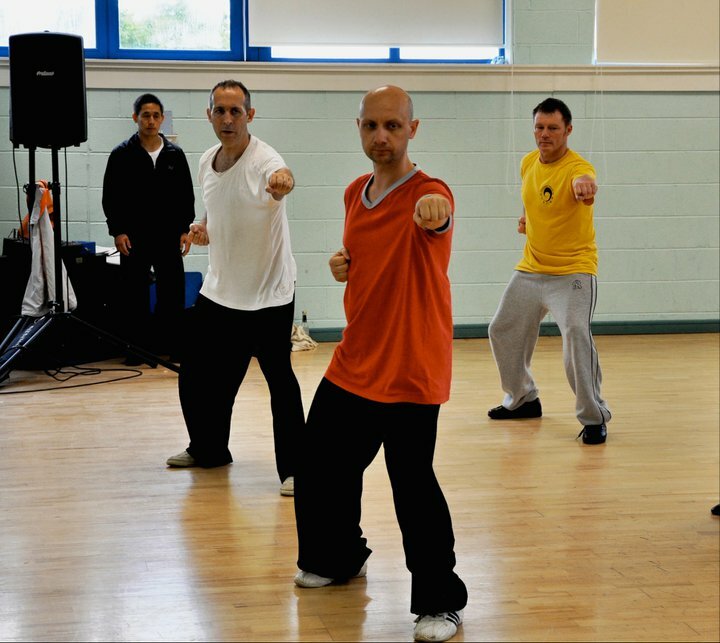 But honestly, how many people who are only prepared to do Taijiquan if it is simple ever go on to do the "real" thing - not many (IF ANY)! As Mdm Chu said, every aspect of the traditional arts is there for a reason - following the rigorous traditional method a firm foundation is first laid down. 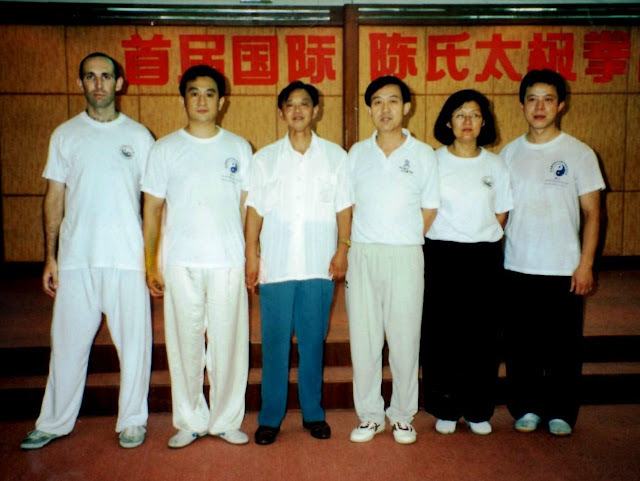 When I first travelled to China in the 1990s to train with the Chenjiagou teachers I asked many of them what I needed to do to make the best progress. Invariably the teachers said "practice Yilu". That was what they and generations before them had done. 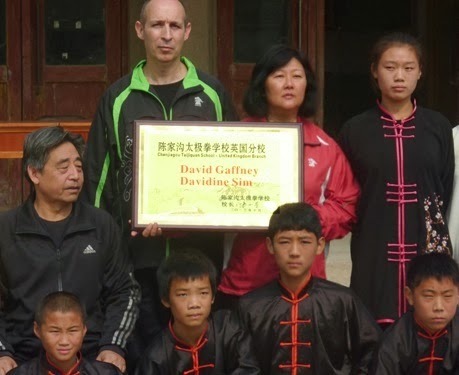 With the establishment of a firm foundation the scope for improvement in all aspects of Taijiquan is unlimited. Done in the time-honoured way Taijiquan maximises the potential of the human body, increasing both the health and martial capabilities of those who really dedicate themselves to it. "Drink the water of Chenjiagou your legs will surely shake"
"You must be prepared to eat bitterness"
"One day's chill doesn't result in three feet of ice"
"One day of practice, one day's skill"
"Three years, small achievement; five years medium achievement; ten years, great achievement"
So, no it is not easy! It is complicated, physically challenging and to get real benefits it needs long-term committment! But, for the reasons mentioned, I believe that the traditional way, with all its complexities and demanding requirements, is needed more today than ever. Everybody was Kung Fu Fighting - Except for the Taiji Guys!! "Timeshift, the black belt of the archive world, takes a look at the rise of martial arts in Britain. From the early days of bartitsu, through judo and karate to kung fu, Britain has had a long and illustrious involvement with the martial arts. 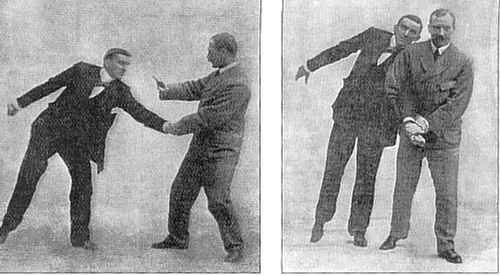 Gold medals have been won, Sherlock Holmes's life has been saved and aftershave has been worn - all thanks to the martial arts". Finally in the closing minutes it got to "Taiji". Panning into a group that looked as if they were on their last legs in some anonymous old people's home the narrator dismissively concluded: "But martial arts has also evolved in the opposite direction, towards methods that seem as far away from combat as possible...slow moving zen-like type of exercise...for those least inclined to want to know anything at all about fighting"! 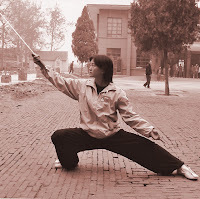 More people than ever are doing "Taiji" but obviously somewhere along the line the martial aspect of Taijiquan is being lost in transmission. It is great that people of all ages can train TaijiQUAN, but where is the QUAN. There is a danger that as more and more people accept the above perception it will become a self-fulfilling prophecy.